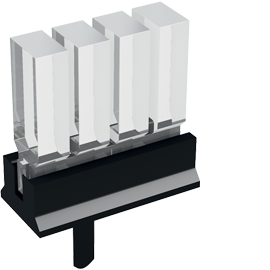 This light guide is intended for CHIPLEDs, type 0805 or smaller and can be mounted side-by-side with a grid dimension of 5.08mm. An integrated diaphragm prevents light bleed, thus allowing the use of mixed colors with optimum optical quality. This diaphragm is used to mount the light guide on the PCB via two press-in lugs. 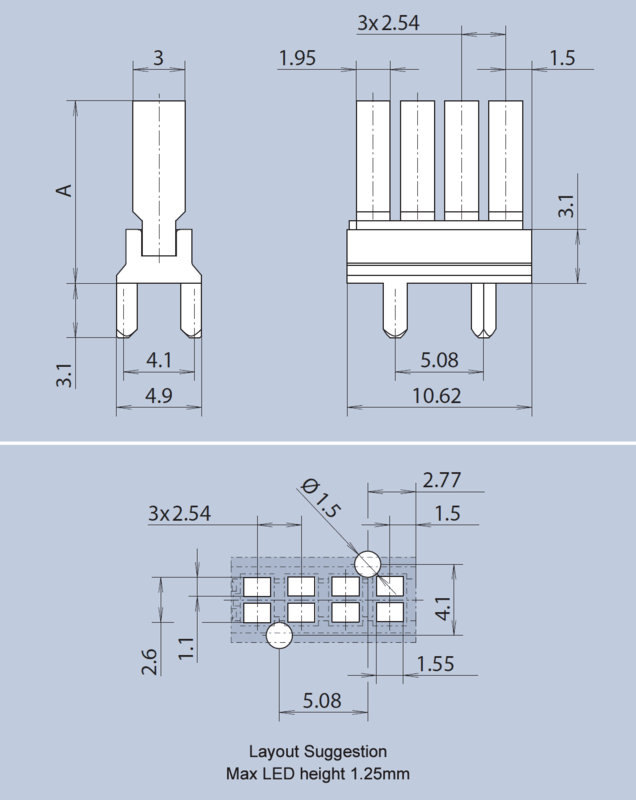 The light guide lengths A = 7.7mm and 10.5mm are compatible with the two versions 1296.4004 and 1296.6004. The light guide is available in heights from min. 5mm to max. 45mm.